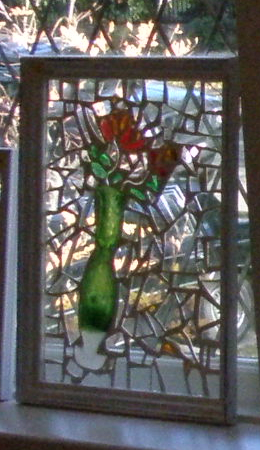 The two glassy ladies work includes recycled glass on glass mosaics. 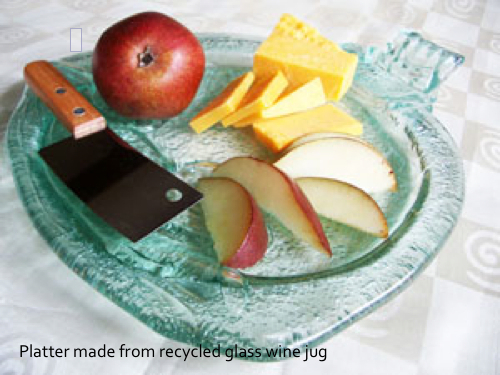 Kilnformed platters from recycled bottles. We're vendors at the Moss Street Market, Saturdays from May to October, Fairfield and Moss street (Sir James Douglas schoolyard) Victoria.